GP Recommends is a space for us to highlight games we feel deserve more attention. Below, Chris expounds on his love for StarCrawlers, a crowdfunding success that rocketed into space last year. They say in space, no-one can hear you scream. But its vast blackness can also hide a multitude of sins, and someone motivated and morally flexible enough can carve out a life therein. The universe is grimy, sleazy, and corrupt. You are not the hero, and there is no glory to be found, only profit. Maybe if you’re fortunate enough, you'll also stumble across some sweet loot that enables you to pursue an even bigger payday tomorrow. The life of a StarCrawler may not be easy, but it is seldom dull. 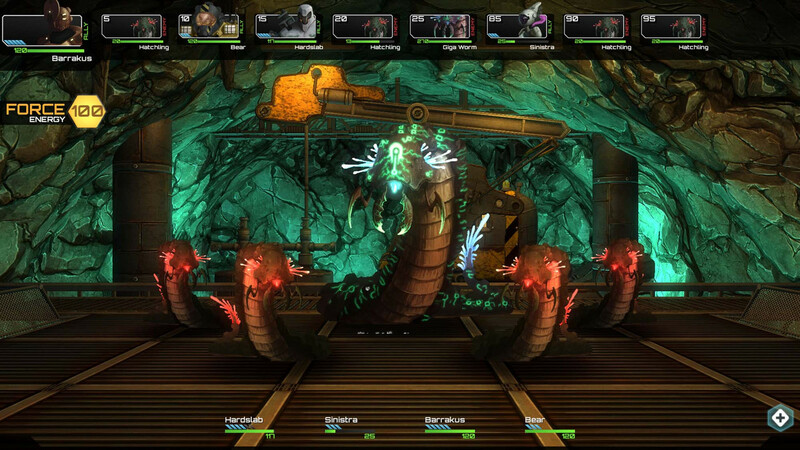 StarCrawlers by Juggernaut Games is an old-school dungeon crawler. This sort of game was common back before video cards could handle complex geometry, and 3D was purely a marketing term. Unlike first-person games of the past 25 years or so, this breed of first-person experience is literally a 'one step at a time' journey: one key press or mouse click moves you forward a single pace. There is none of that free moving granular control we take for granted these days. While restrictive, these movement mechanics provide some interesting opportunities in level and puzzle design unique to this sub-genre. 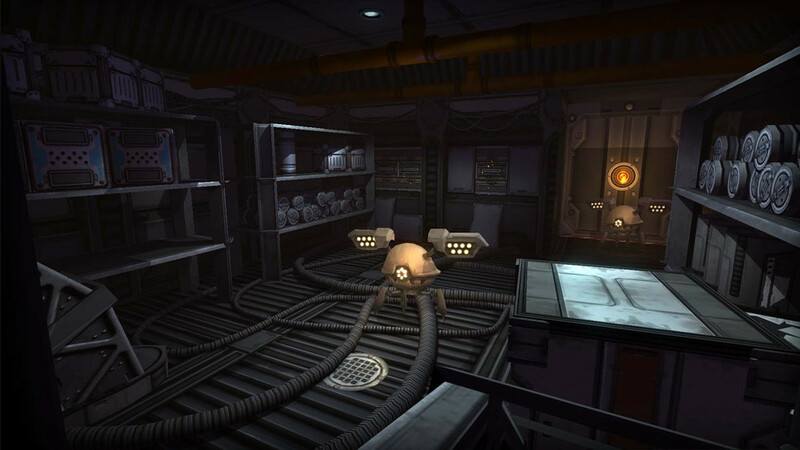 StarCrawlers does deviate somewhat from the blueprint outlined in classics such as Dungeon Master and Eye of the Beholder, and not just in its far-future sci-fi setting. You play as the leader of a team of StarCrawlers – morally liberated mercenaries who for the right price will do almost anything, be it corporate espionage, smuggling, or something even shadier. That is not to say, you are limited to being a bad guy here. There are opportunities throughout the game to do the "right" thing, but every action or inaction may have serious ramifications for your motely crew. In the far reaches of space, your reputation is everything. Screw over too many clients, fail too many missions, or even help the wrong person, and you’ll find few people picking up the vidcon when you enquire about a new job. Managing your reputation is almost as important as maintaining your team and their equipment. Sometimes the most profitable job ends up with you being short on new opportunities and remaining breaths. For this reason, you need to pay attention to who you’re agreeing to work for, and what effect succeeding or failing the mission will have on your future earning potential. It’s a good idea to check all the jobs listed before accepting one, because there maybe more than one client vying for the same piece of information or object – but let’s not get too far ahead of ourselves. Before you can crawl, you need to know who you are. Character creation is simple, but does an excellent job of setting the scene for the universe you’re about to explore. It also provides you an opportunity to build a custom backstory, with three multi-choice history options further refining your character with either stat bonuses, special skills, or character traits. This is in addition to the specific skills each of the game’s seven classes provides. Between the Cyberninja’s close-combat efficiency, the Smuggler's stealth-oriented skills, or the mage-like abilities of the Psyker classes, there should be something for everyone here. Outside of their diverse combat skills, each class has specific skills that can be used when exploring the various offices, spaceships, and unauthorised spaces you may visit as you move through the game’s main story and multiple side quests. Traps, locked doors, computer terminals, and hidden rooms can be found in many of the locations you will visit, and with hidden loot, special quest bonuses, or even valuable information to be found, ensuring you have diverse skills outside of combat will be invaluable. As you progress, you will be able to recruit up to three additional Crawlers to aid you in missions. Not only will this give you more options in combat, but it also expands your toolbox during exploration. 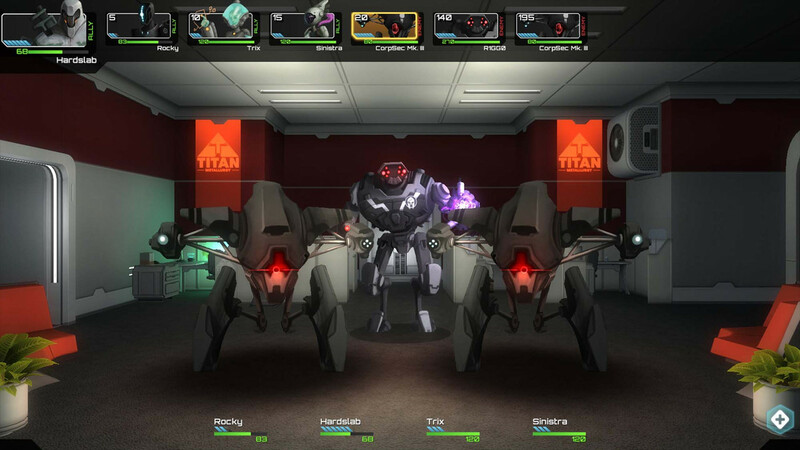 Dungeon crawlers are known for their light RPG elements and heavy emphasis on exploration and – particularly – combat, and StarCrawlers fits that mould. But rather than use a grid-based movement system, Juggernaut Games took its game down a different path. Combat plays out more like a first-person classic Final Fantasy game. It is turn-based, and each character will in turn can attack or use a skill or item against a specific enemy or ally. As each class has vastly different skills and upgrade options, you have a dazzling array of combat options at your disposal, and these expand even further as you level up your crew. Skills and attacks each take a specific number of time-units to complete, so being mindful of your available units, and maybe holding back for a round or two to use a more powerful attack may be a better option rather than wading in with multiple quicker but less effective attacks. The tactical aspect of the combat really is in managing your skills, time units, and energy if you use either of the Psyker classes with their powerful but volatile abilities. Mismanage any of this and you may find yourself unable to complete a vital attack or defensive manoeuvre, or worse, your Void Psyker might exceed her ability to contain the unpredictable Void Energy they channel and explode, taking half the crew with her. I can attest that this seldom results in a win for the team. I love the combat, but you do need to be prepared for a lot of it. This is not an RPG, it is a combat-oriented dungeon crawler, and while there are a lot of different and wonderfully colourful creatures, robots and aliens to smash in the face, the turn-based nature of the combat may begin to feel like a grind for some after a few hours of play. It is also possible that the movement system itself will put off others. 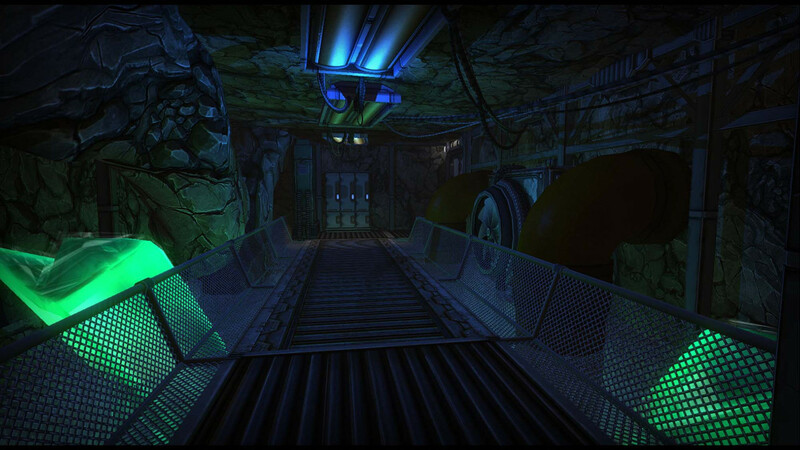 While every level is rather beautifully presented, the fact that you will be travelling many, many corridors at a very deliberate pace can also make the game feel a little repetitive. This can be further exacerbated by the procedural nature of many of the games locations. This is far less true for the core story missions with their more expansive and custom-built levels, but some missions may end up becoming a chore to get through for those less enamoured by the throwback mechanics of the exploration systems. For me though, I love the game. Its cartoony graphics are gorgeous, the bassy electro jazz score is delightful, and the missions are varied enough to keep me coming back time and time again. Exploring each new location and encountering new enemies, new puzzles, and new environments never gets old for me. Watching my map expand as I move through a location is a joy, and when I notice a void in the map that may indicate a hidden room or special encounter I always feel compelled to find the hidden level or complete the required sequence of movements to open the way forward. This is one of the unique parts of this type of game I truly love. There is an elegance in its simplicity, the fact that every room or corridor is made up of individual and clearly defined grids makes me happy in a way I can’t really express. I find something very soothing in tapping the WASD and seeing the screen smoothly transition to the next grid. I love the almost pixel hunt nature of trying to locate a hidden panel. It’s not for everyone, but for the right person there is a lot to love here. 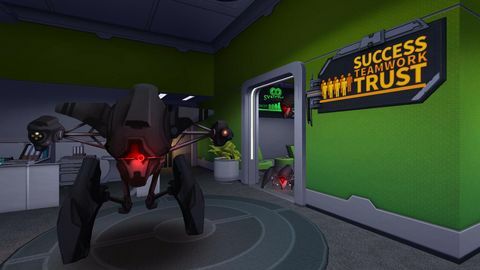 If you’re looking for something a little bit different in the first-person adventure space, or just like solid turn-based combat, then give StarCrawlers a look. It’s by design a far more deliberately paced game, and niche by its very nature, but the procedurally generated levels, wildly different classes, rewarding combat, and random mission options should keep you neck deep in mischief for many hours. Also see Legend of Grimrock and its sequel for another modern reimaging of the game style, only in a more traditional fantasy setting. For classics still available to purchase, I recommend the original Lands of Lore, Wizardry VII, Anvil of Dawn, and Stonekeep, all of which are available at GOG.com. 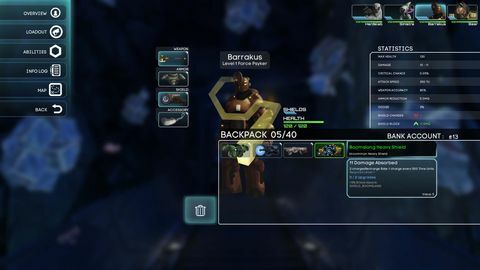 ◆ StarCrawlers is out now on Steam and GOG.